Gene’s Automotive Shop is your quick and convenient choice for any foreign or domestic car repair or maintenance in Petersburg Virginia. Located just south of Richmond, Virginia, our expert technicians will take the time to investigate your car’s issues and explain them to you in detail. 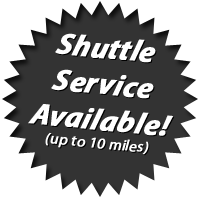 Our clients have confidence that we handle their vehicles with the utmost care and diligent service. This thorough service has kept customers coming back to our shop since 1969. When your check engine light pops on, we can provide a quick analysis of the situation. Our auto diagnostics crew has the equipment necessary to read your vehicle’s computer sensors and identify the issue. For more than 30 years, our dedicated team has served Colonial Heights and Petersburg, Virginia as well as the surrounding Richmond area. Our technicians stay on top of industry publications and developments to make sure you get the nation’s best service right here in central Virginia. Appointments are not necessary, so stop in or call Gene’s Automotive Shop today!